After running the program, there would be a link given (HTTP and HTTPS) that can be acessed by public, if people visit that link it would give the same output as http://localhost:8080. You can view the visit log on the web interface http://127.0.0.1:4040. This would create a subdomain on Ngrok's domain, for example mysubdomain.ngrok.com that linked to your http://localhost:8081. 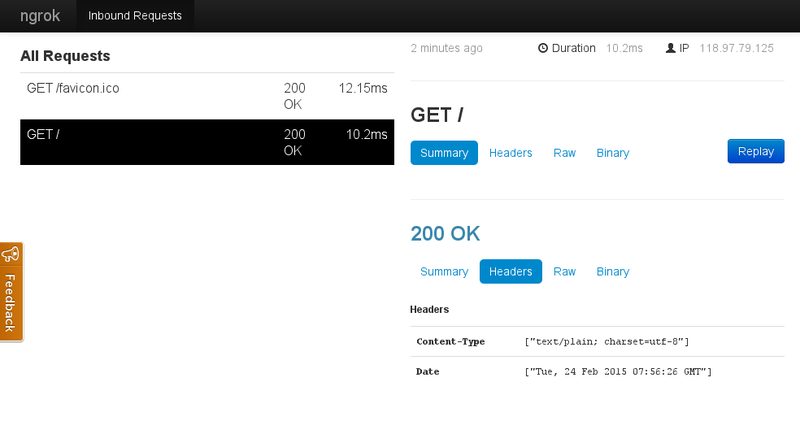 One more cool feature about Ngrok is you can replay the request, just press the replay button on the web interface. 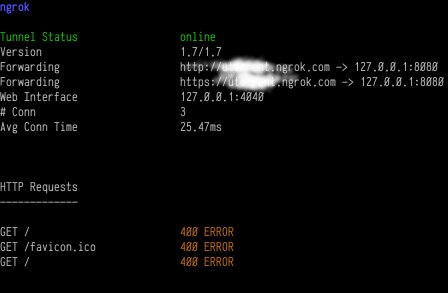 Minor flaw of this program, if you run multiple instance of Ngrok, only the first instance will get web interface (http://127.0.0.1:4040), the next instance would not get the web interface.